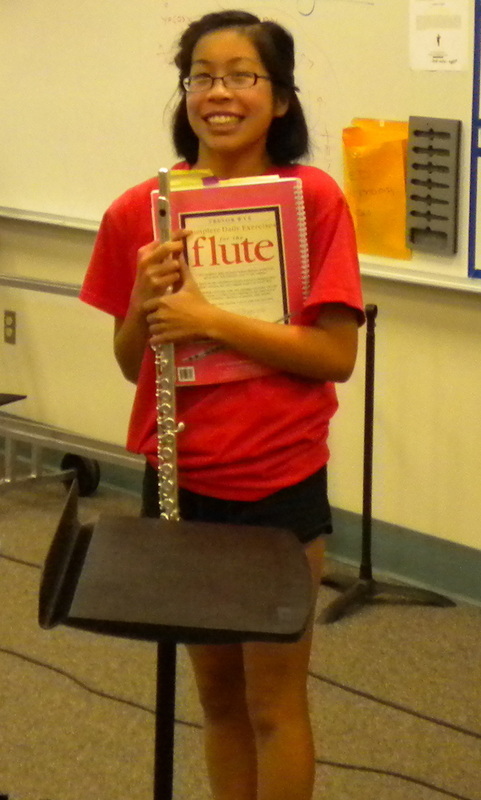 Amanda Vu - Flutediva - Hard work beats talent when talent doesn't work hard. Amanda Vu is a freshman at U.C. Berkley and is Majoring in Engineering. Last year she was a senior at Mt Carmel High School was the piccolo player in their Wind Ensemble. Amanda is my most prepared student at all times. She is always ready for lessons and is first to have her Certificate of Merit scales memorized. She is a talented and beautiful player and person. She will often compete with her younger sister or a younger flutist even though she knows it might cost her a title in a competition. However, it has always worked out for her. Amanda has placed in every competition she has entered since the 7th grade. Despite her success she is humble and is a great example of how a talented, successful, and ultra-smart senior flutist should act and treat those around them. Amanda is always smiling and kind and generous to everyone. Amanda in addition to being a flutist and scholar is also a competitive swimmer.